Academy of Business Administration, Balasore with landscaped gardens provides an idyllic environment to engage in management and computer applications studies, academics and learning. ABA is an innovative institute committed for developing programs designed to equip you with the knowledge and skills needed to succeed in the national and global workplace. ABA has pollution free state-of-the art infrastructure that facilitates excellence in teaching, research, consulting and other professional activities. 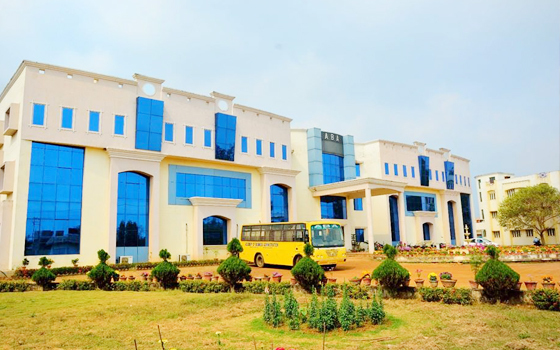 Located in Balasore, the sand city of Orissa and high-tech Missile Test Center of India.ABA is in close proximity to some of the leading corporate house in the country, ranging from information technology to consumer product companies, giving added advantage of integrating classroom knowledge with practical experience. To distinguish yourself ABA is providing not just a professional qualification, but also the practical skills that employers search for. You will be able to take advantage of a wide range of high quality study support and resources, all geared to rapidly accelerate your professional career. The Management of the institute is in the hands of a Governing Board, consisting of representatives from eminent industrialists, educationists and technocrats. Since its inception in 1993, Institute has been offering quality management and IT education. ABA has focused on quality education, academic infrastructure, technology and innovation. Excellent infrastructure, highly accomplished faculty and motivated student to emerge as one of the best institutes for management and IT education. At ABA we encourage cooperation with our alumni and students to create solutions to problems faced in the real world and build powerful corporate networks to increase your global professional reach. ABA provides programs which are extremely flexible and industry-focused. ABA strives to achieve excellence through partnership programs with industry.ABA prepares students for real -world leadership. Academy of Business Administration got registration (Act XXI of 1860) in the year 1993. The institute is approved by the All India Council for Technical Education (AICTE), New Delhi, Ministry of HRD, recognized by Govt. of Orissa and affiliated to the Biju Pattnaik University of Technology, Orissa.